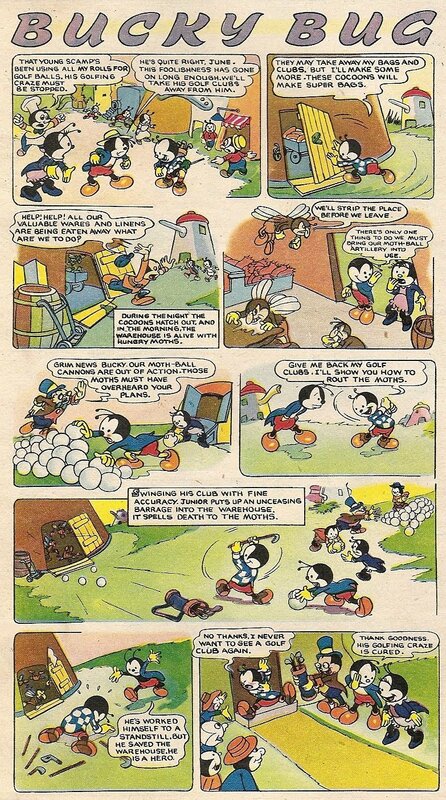 A large number and variety of British-made Disneyic comics had been published in Britain's Mickey Mouse Weekly from its inception in 1936 till the early 1940s. My collection of this magazine during its bi-weekly run between 1941-50, when it was re-titled as Mickey Mouse, is still very incomplete, but British-made Disneyic comics appears to have diminished or altogether disappered during the first half of this period, only to make a comeback with single-row 'Bucky Bug' strips at the bottom portion of its last pages (back covers). Below scans are from issues no. 431, 448, 450 and 451, all from 1947. The above scan is of the wonderful cover of 450. 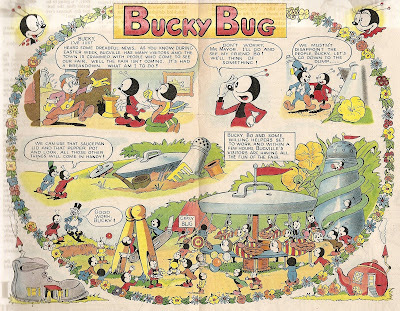 In the US, Bucky Bug had debutted in the Silly Symphony Sunday half-page comics series in 1932, prior to the release of the cartoon short Bugs in Love later that year. 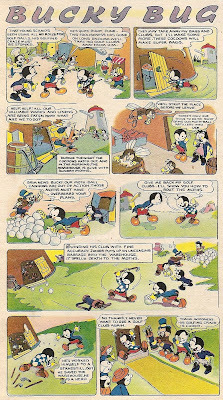 In 1942, these newspaper comics would begin to be reprinted in re-formatted form in Walt Disney's Comics & Stories where new Bucky Bug comics would also begin to be published from 1943 onwards. UPDATE: Note the comment appended to this post by John Wigmans, who identify the artist on some of the British Bucky Bug material as Basil Reynolds. 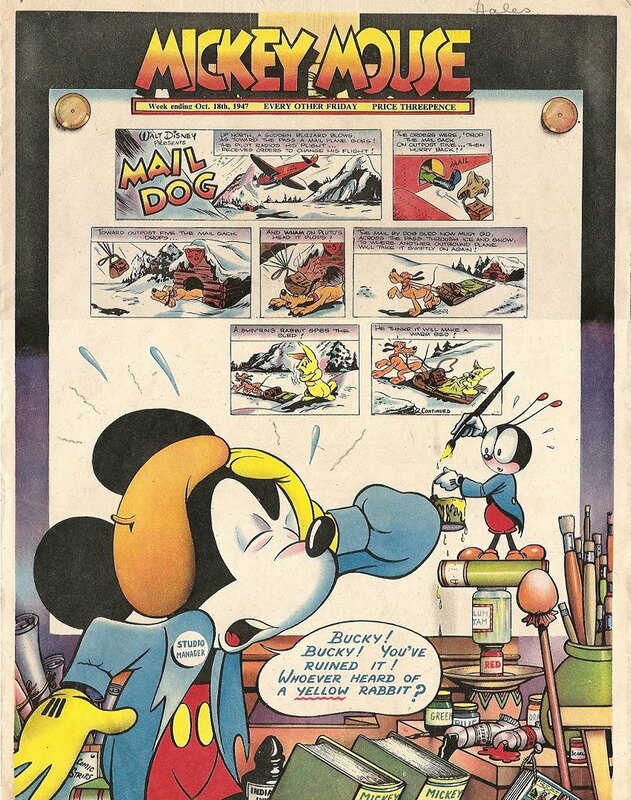 The cover of Mickey Mouse no. 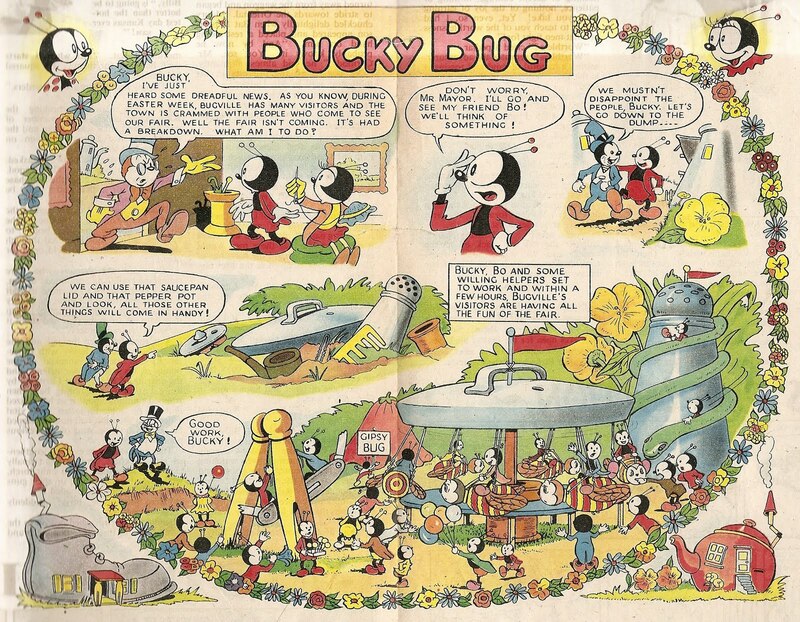 450 and the two-row 'Bucky Bug' strip from no. 464 are drawn by Basil Reynolds.